This luxurious and comfortable high back chair offers incredible support and helps to maintain posture. 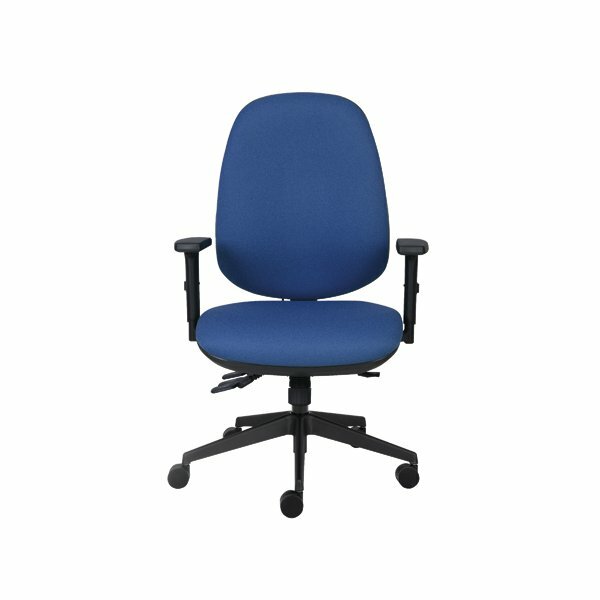 The upholstered, curved back rest and seat are fully adjustable to enable you to find your perfect sitting position. An easy to use gas lift mechanism and black arm rests offer additional support. This blue chair has a recommended usage time of 8 hours.